Be the first to share your favorite memory, photo or story of Arthur . This memorial page is dedicated for family, friends and future generations to celebrate the life of their loved one. Graveside service will be Monday 1pm at the Rock Island National Cemetery. Those wishing to attend should meet at Schroder Mortuary, Silvis at 12:15. Cremation Rites have been accorded by Quad Cities Cremation Center. Arthur was born March 28, 1952 in Moline, IL the son of Harold and Carolyn Smoot Evins. He served in the Army during Viet Nam. 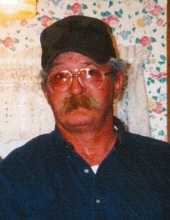 Arthur worked at Reynolds Engineering as a fork truck driver and enjoyed fishing, boating and spending time with his 2 dogs and his family. Survivors include his children Stacie Evins of Davenport and Jesse Evins of Muscatine; 6 grandchildren; sister Wanda Evins of Rock Island and a brother James Evins of Andalusia. Arthur was preceded in death by his parents and a brother Floyd. To plant a tree in memory of Arthur L. Evins, please visit our Tribute Store. "Email Address" would like to share the life celebration of Arthur L. Evins. Click on the "link" to go to share a favorite memory or leave a condolence message for the family.